The older I get, the more I realize that it’s not how many friends I have that matters. The important thing is having real and sincere people in my life. To me, friendship is not necessarily about having a lot in common. I have done most of my learning from friends who are very different from myself. They bring the gift of balance to my life, as I realize there are other ways to view things and various approaches to life that are just as valid as my own. What friendship is, though, is a mutual respect between two people. Friendship is wishing the best for the other person, and rejoicing sincerely in their successes. Friendship is also drawing on-side of someone who is going through a rough time, being patient and giving them the benefit of the doubt should they slip up and get a little over-emotional and sensitive while dealing with a crisis or challenge. A real friendship is beneficial to both parties, where neither is always the “giver” or the “taker”. In this lifetime, I think we are lucky if we can find even a few people that fit this bill. The rest are mere acquaintances (which are fun and necessary too – but just not irreplaceable like a true friend is). True and sincere friends are one of life’s greatest blessings. 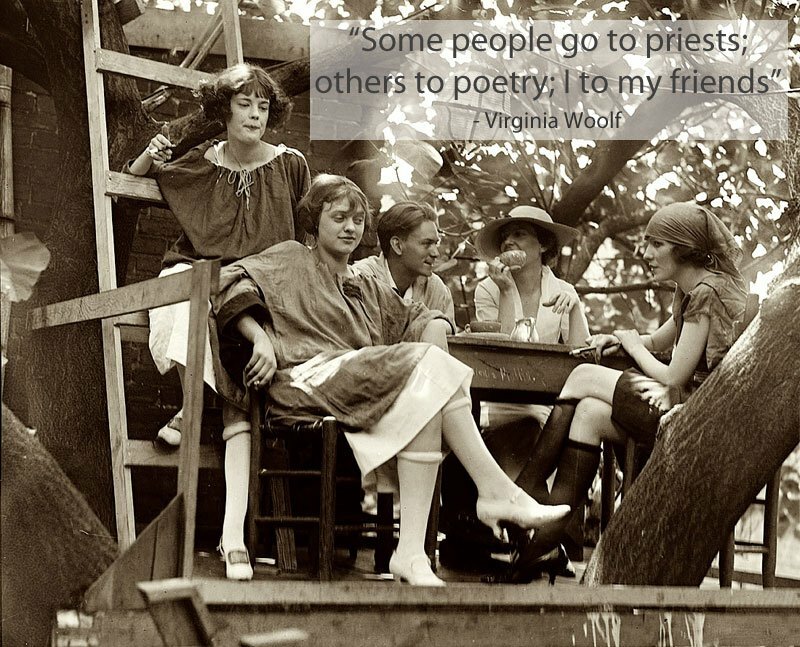 Some people go to priests; others to poetry; I to my friends – Virginia Woolf. This entry was posted in Uncategorized and tagged Friendship by flexiblyblessed. Bookmark the permalink. I respect your views on friendship . you are the one of a kind.